NOTE: The minimum order for this item is twelve (12) blocks. However, if you really want less, then six is the absolute mininum. Let me know, and I will make adjustments. This is NOT a kit. You will receive already COMPLETED blocks that were sewn together by me. These are very time consuming blocks to make. I do a great job. You will receive well-made good quality blocks. 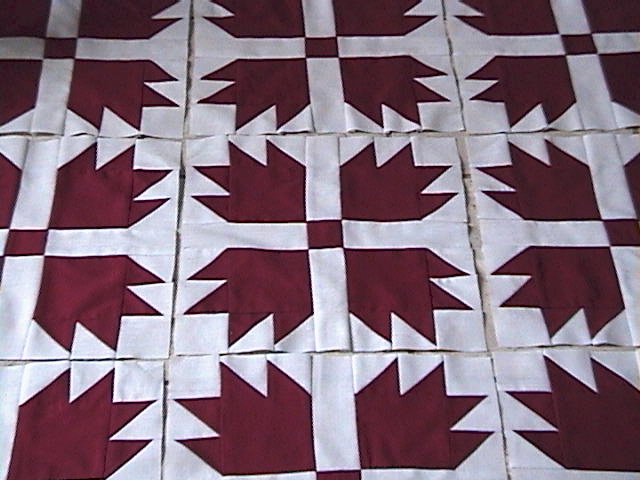 Great for a bear theme, a country theme, or a turkey red and white theme. Great for your regular home; or for your country home. Just beautiful. Make this a family heirloom. Use it throughout the year. Sew these together, then add batting, backing and your favorite quilting designs.